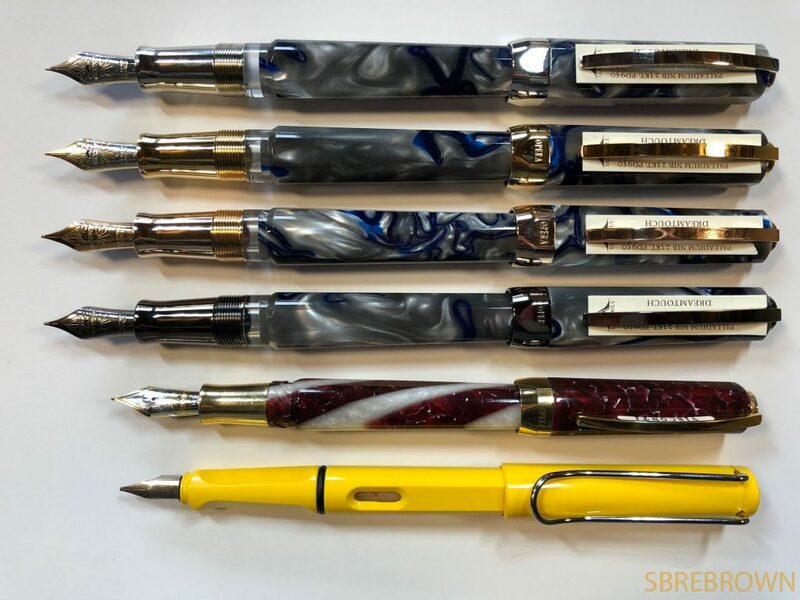 These beautiful pens were lent to me by Bryant Greer of Chatterley Luxuries. 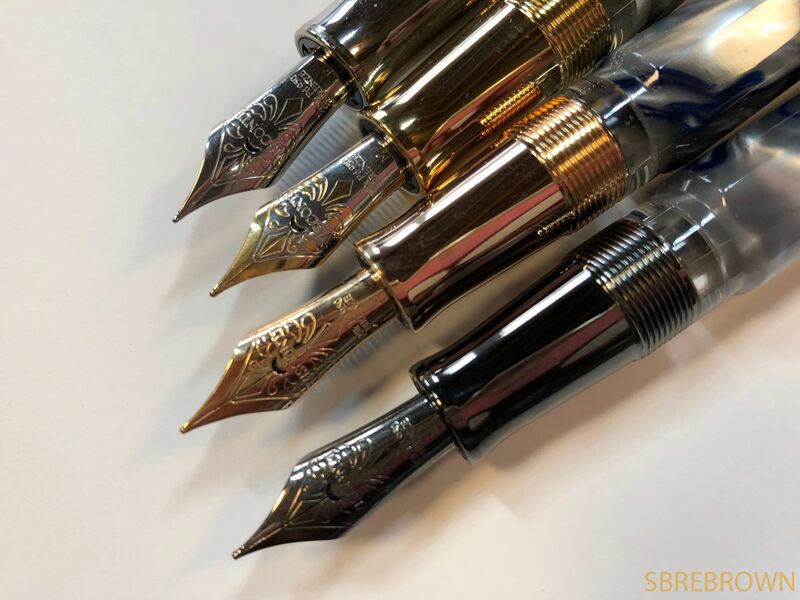 Made in the London Fog material, these are very attractive Opera Masters. 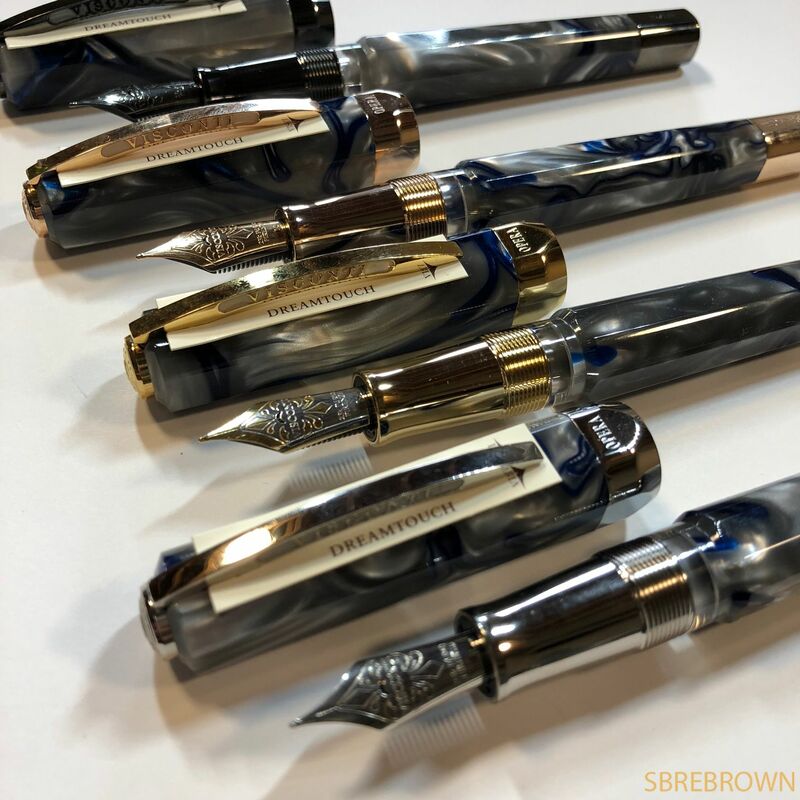 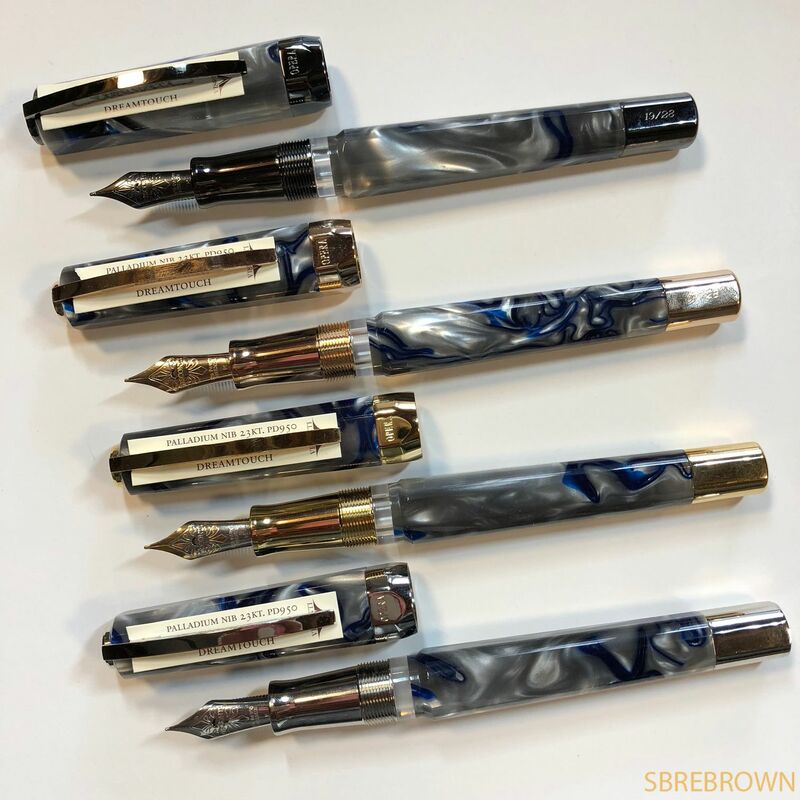 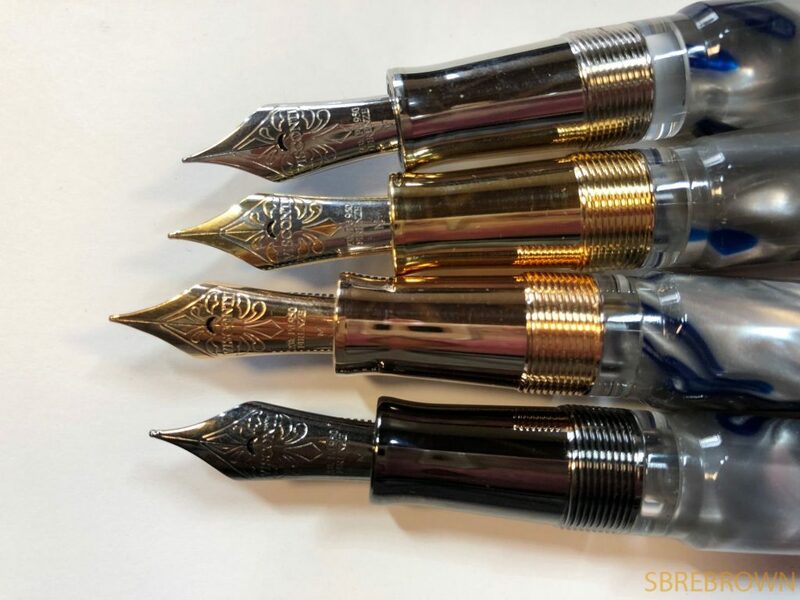 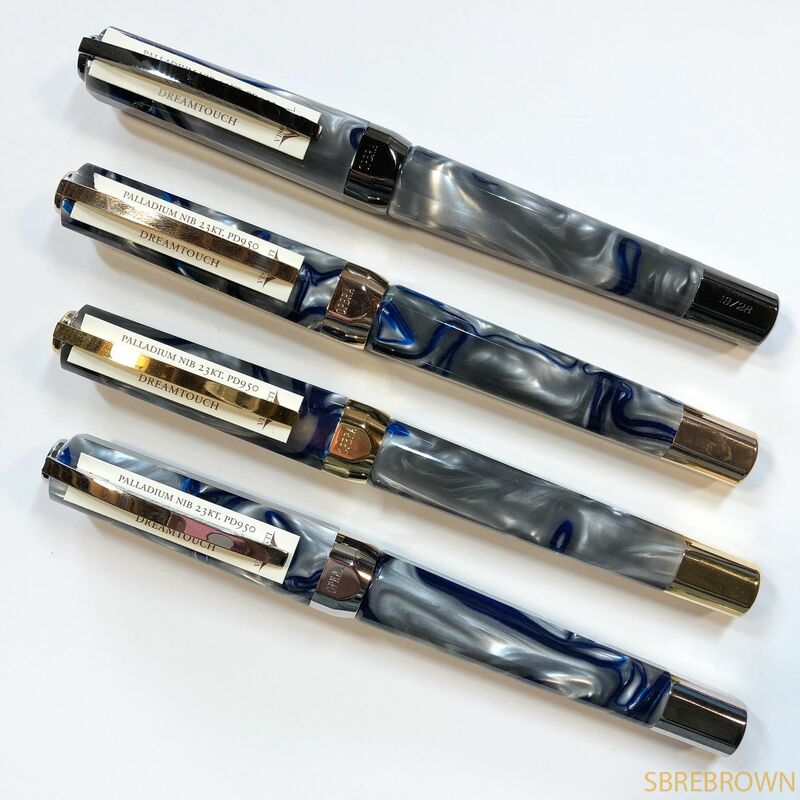 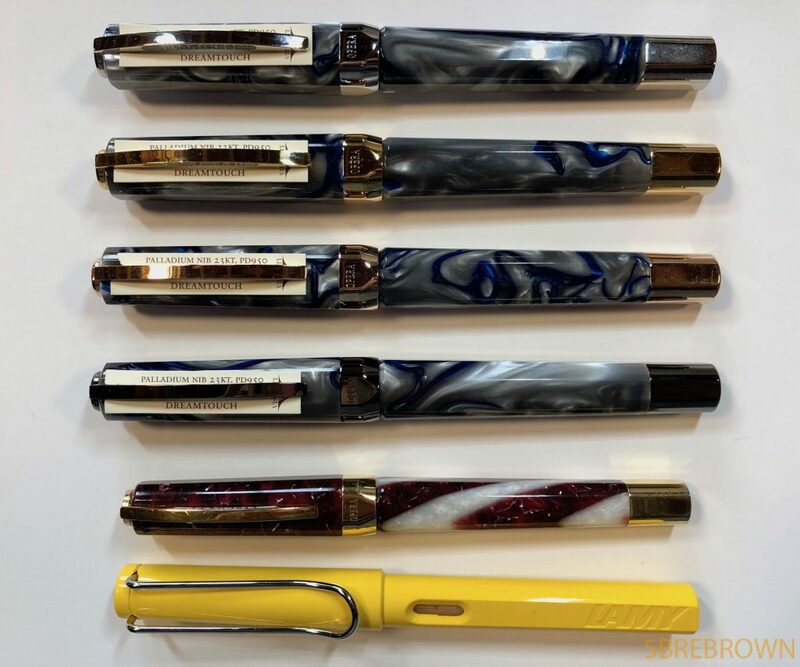 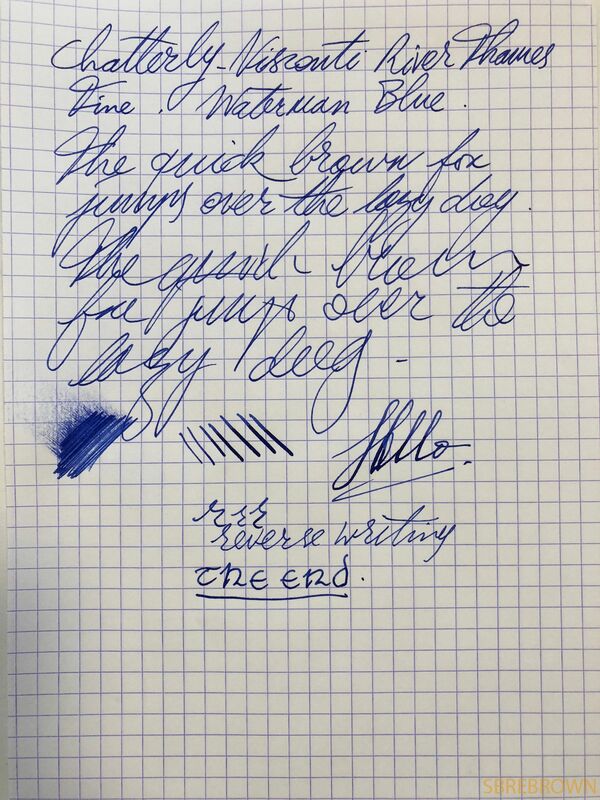 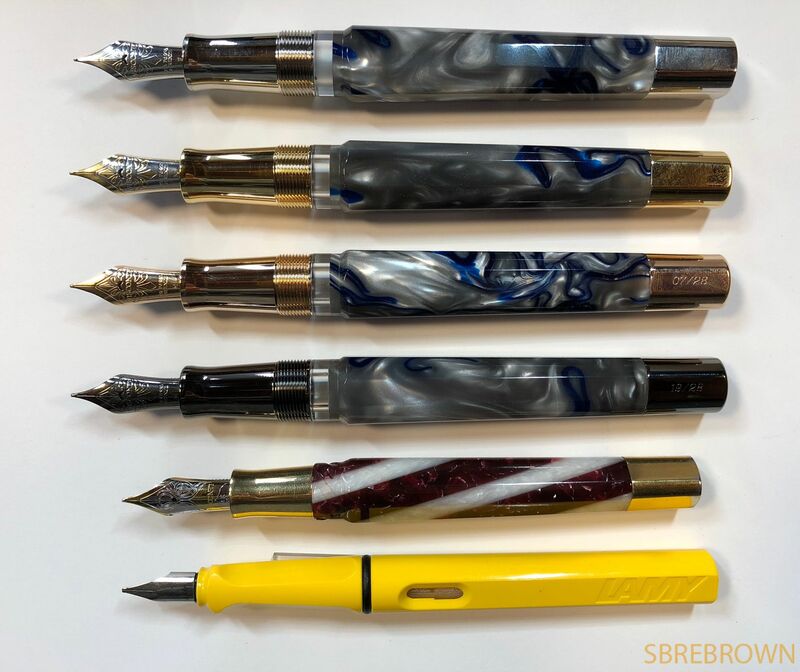 This entry was posted in Fountain Pens, Reviews and tagged Chatterley-Visconti, Double Reservoir Power-Filler, fountain pen, London Fog, opera master, Palladium Nib, River Thames on January 1, 2018 by sbrebrown.